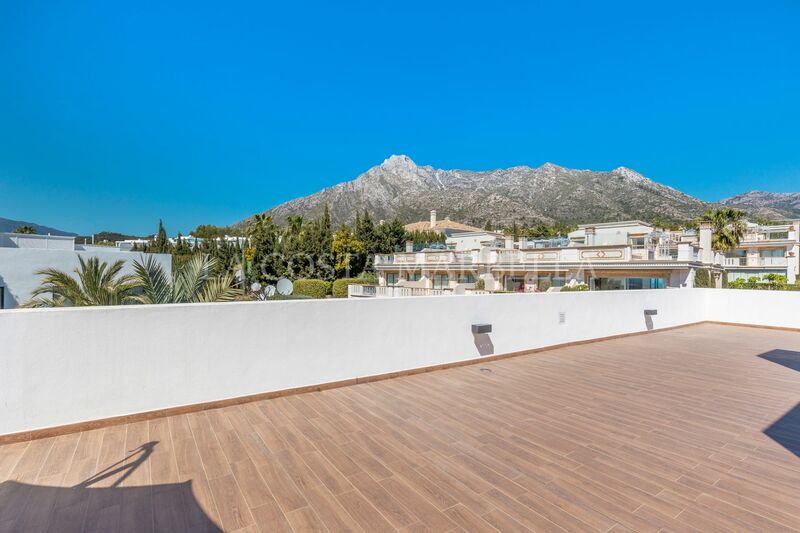 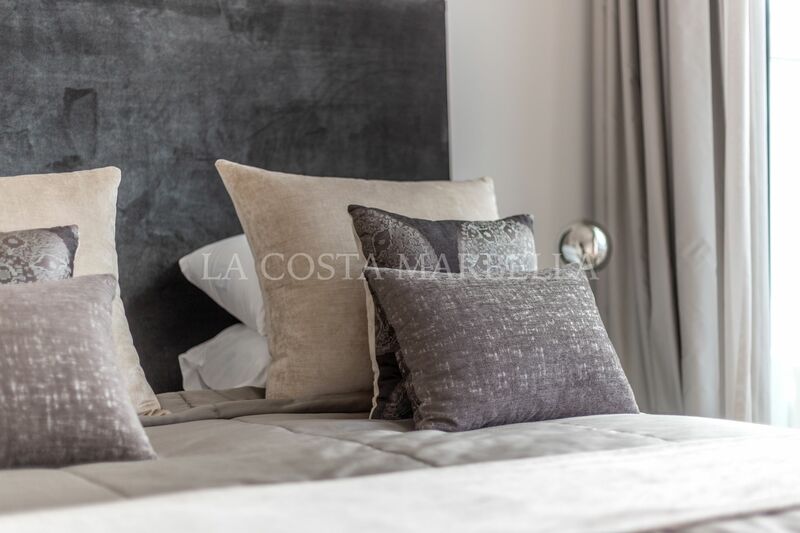 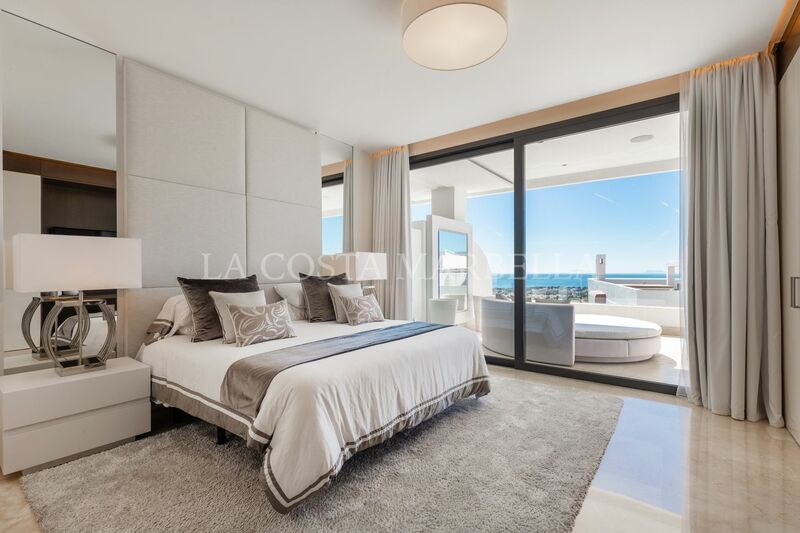 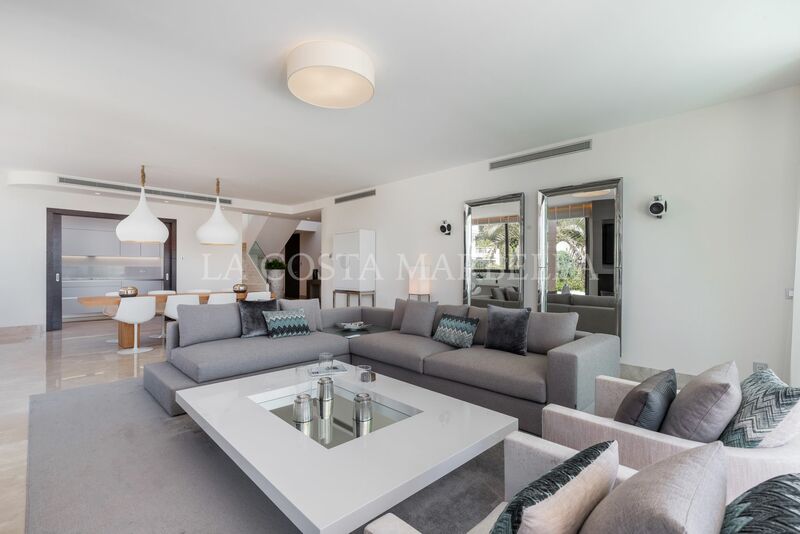 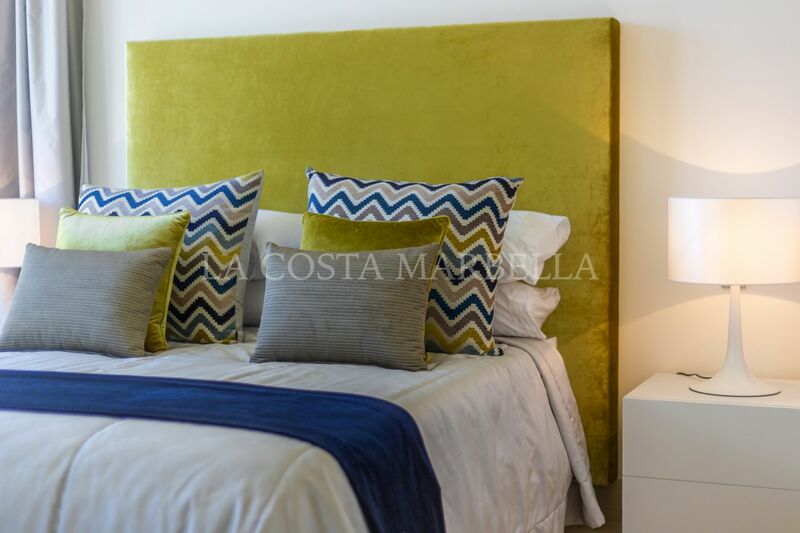 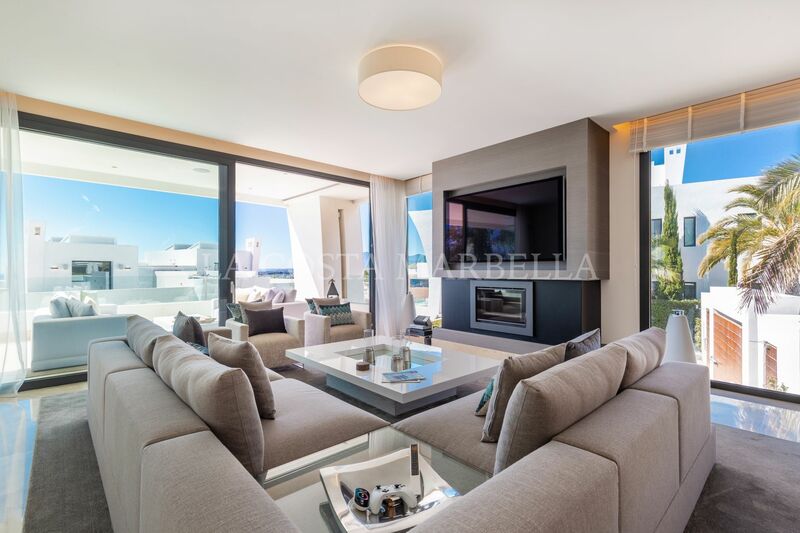 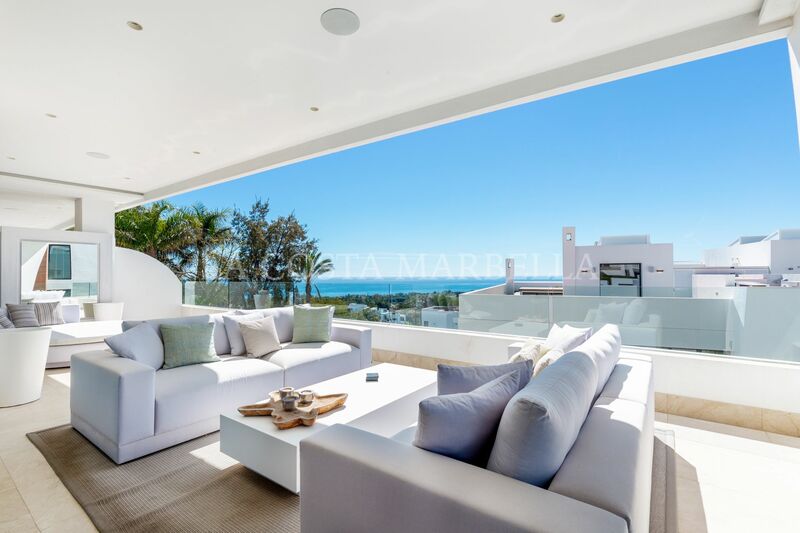 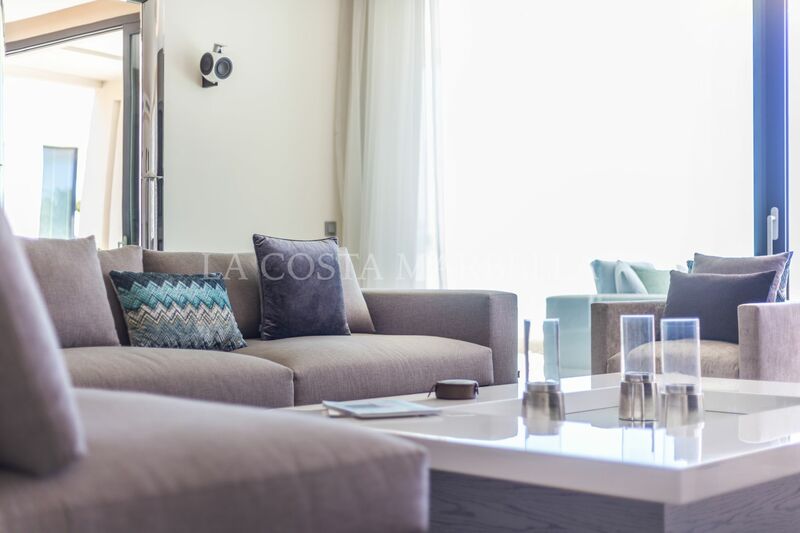 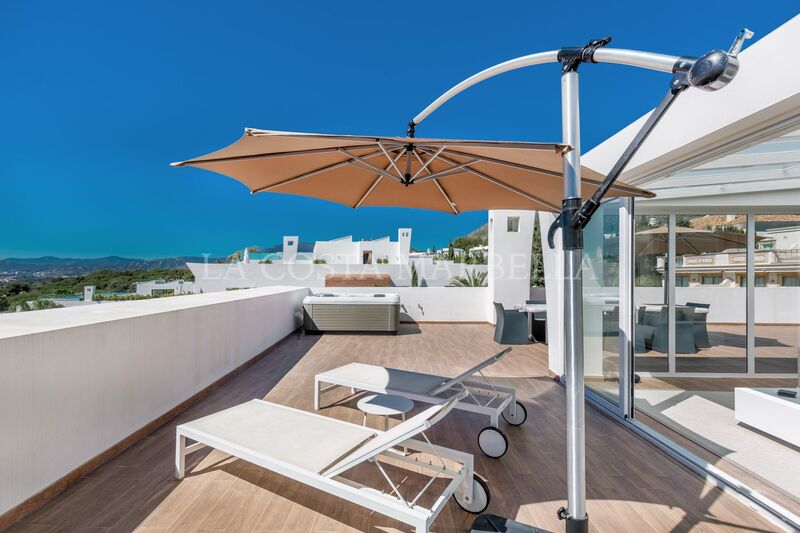 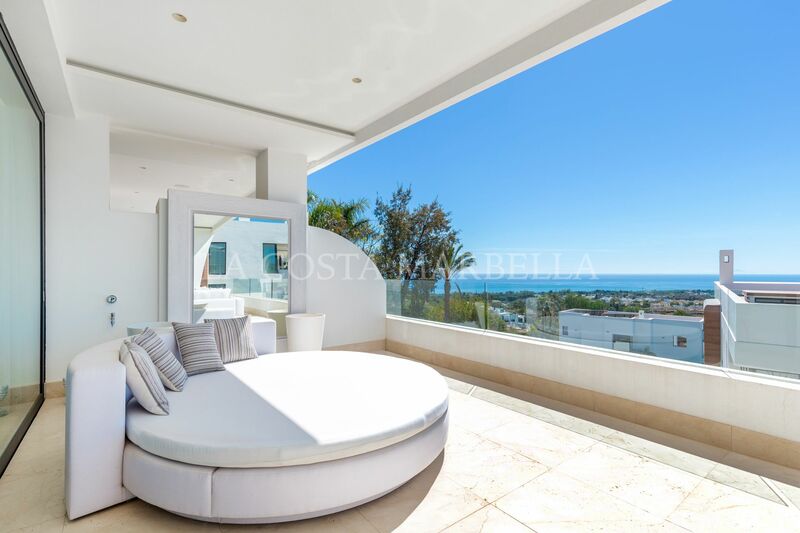 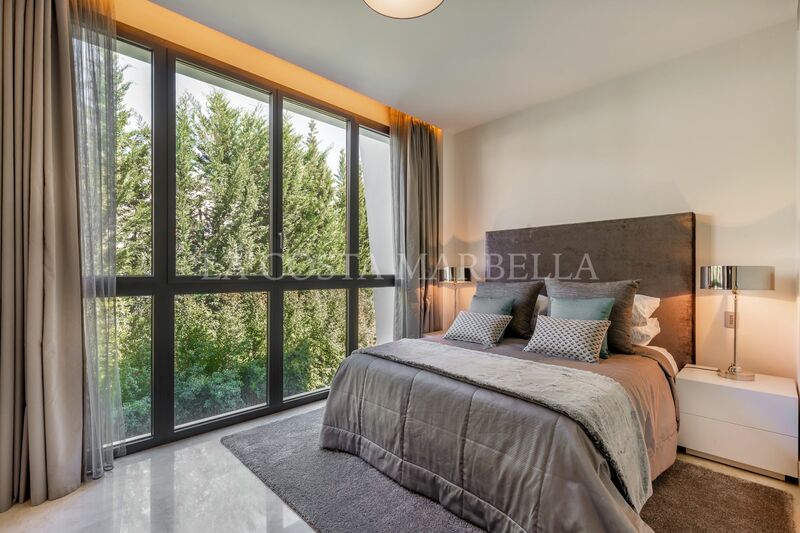 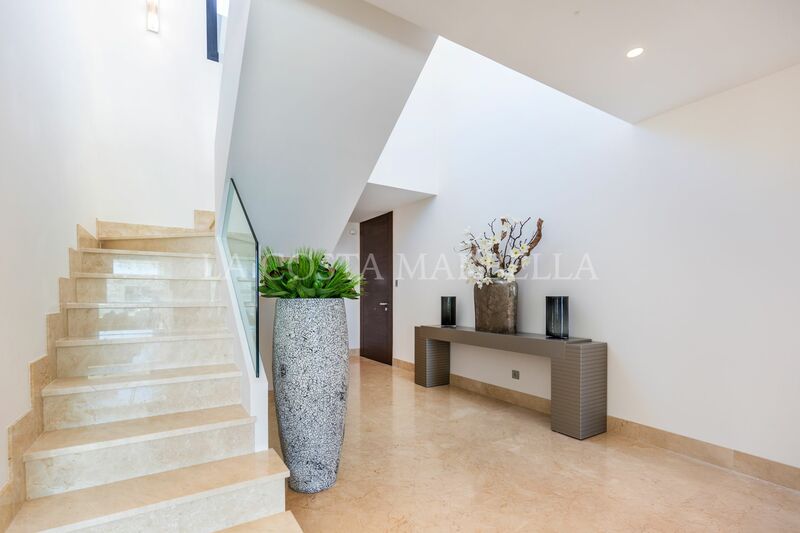 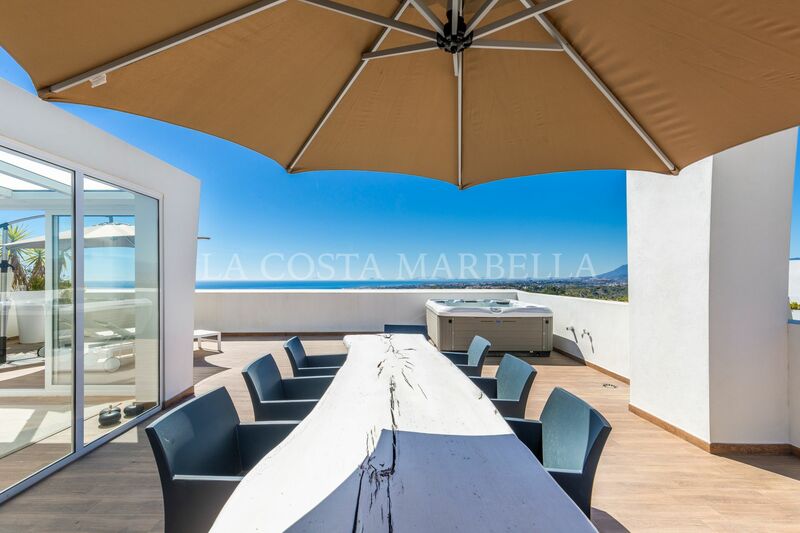 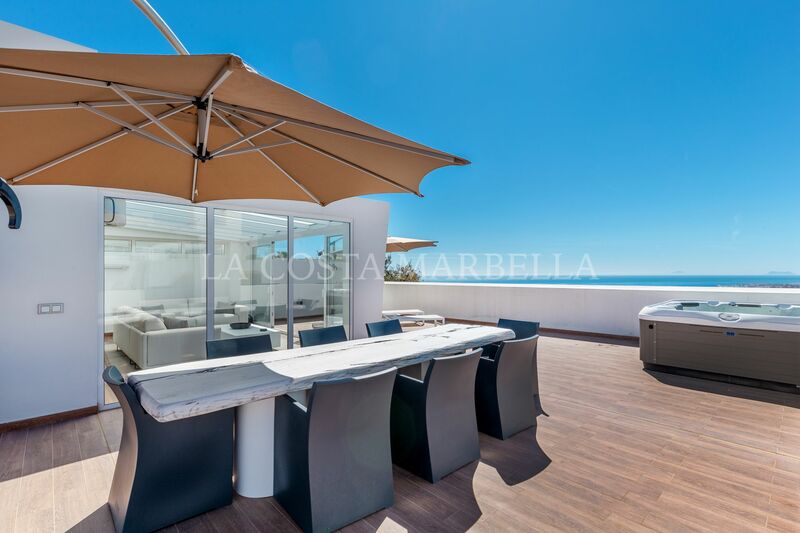 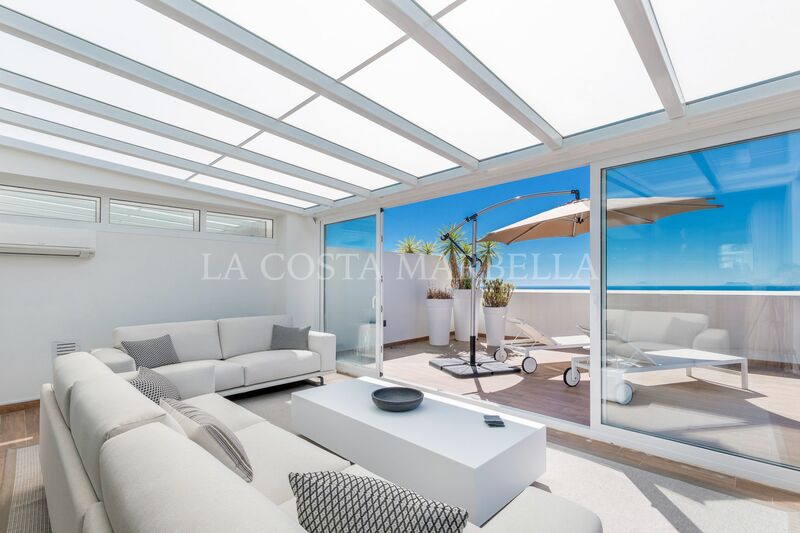 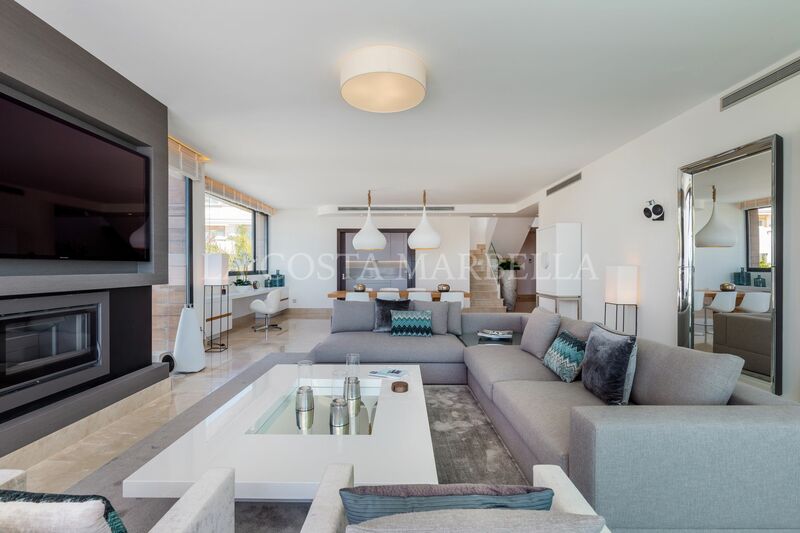 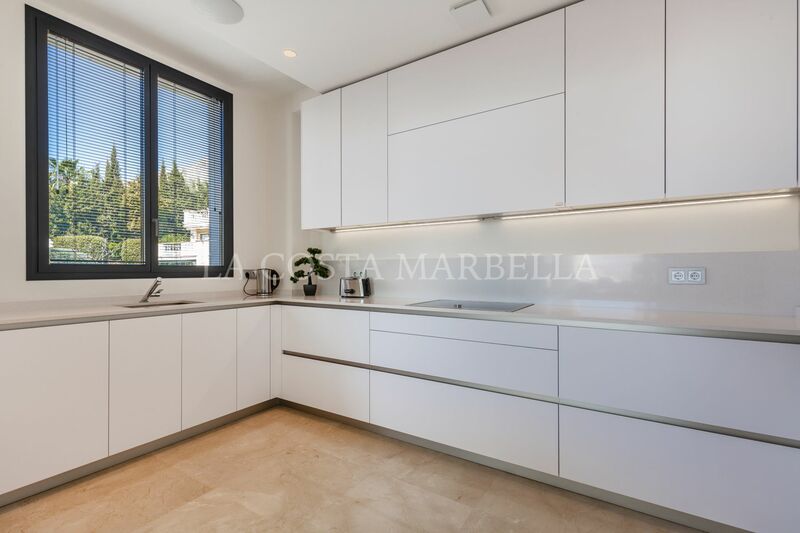 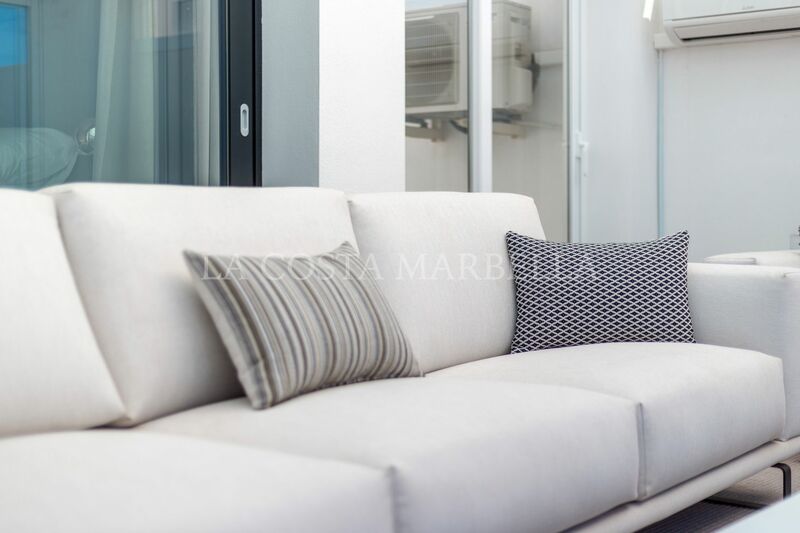 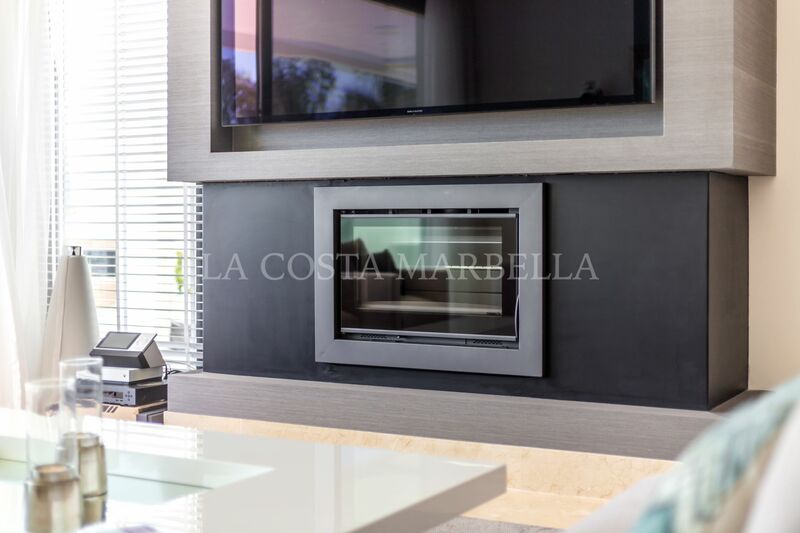 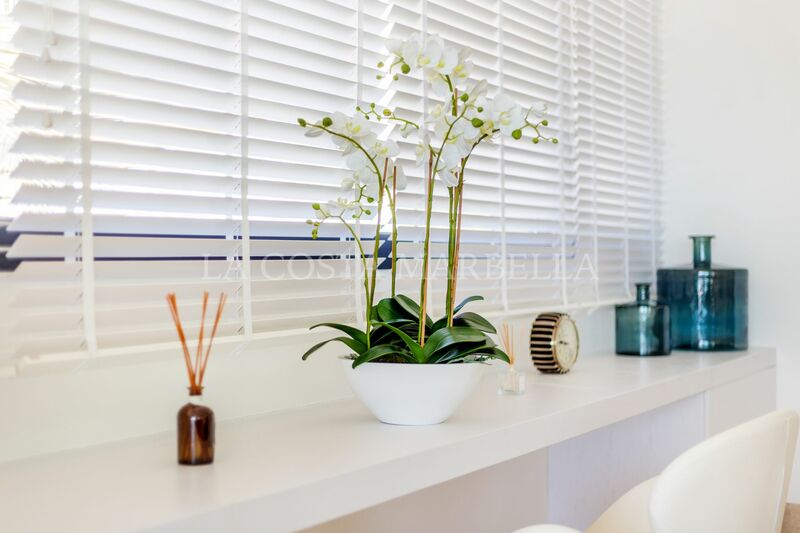 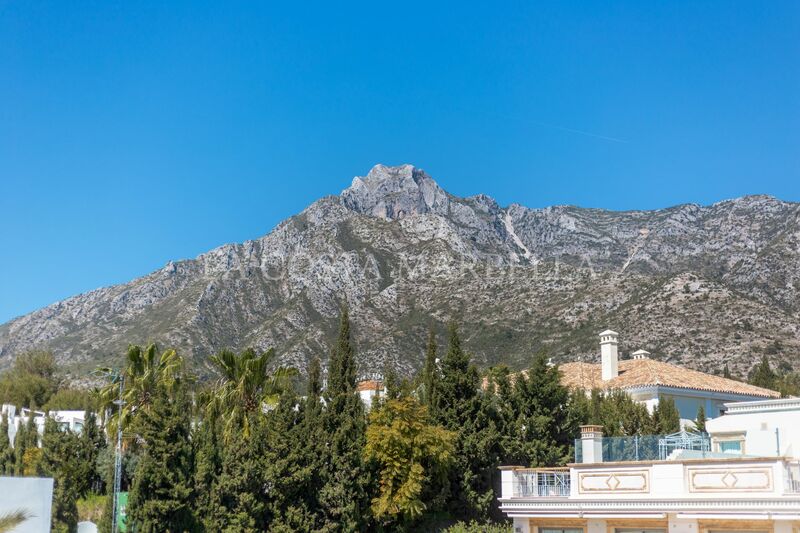 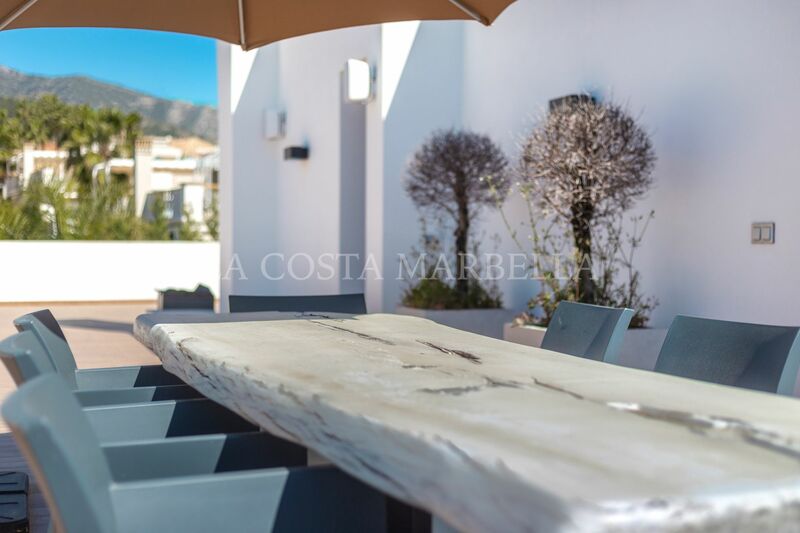 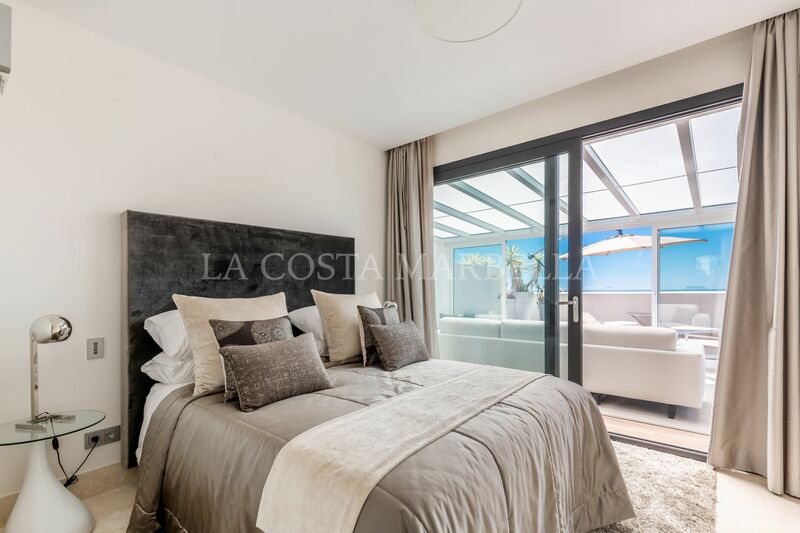 Fantastic 4 bedroom duplex penthouse in a prestigious urbanization of Sierra Blanca, Marbella. 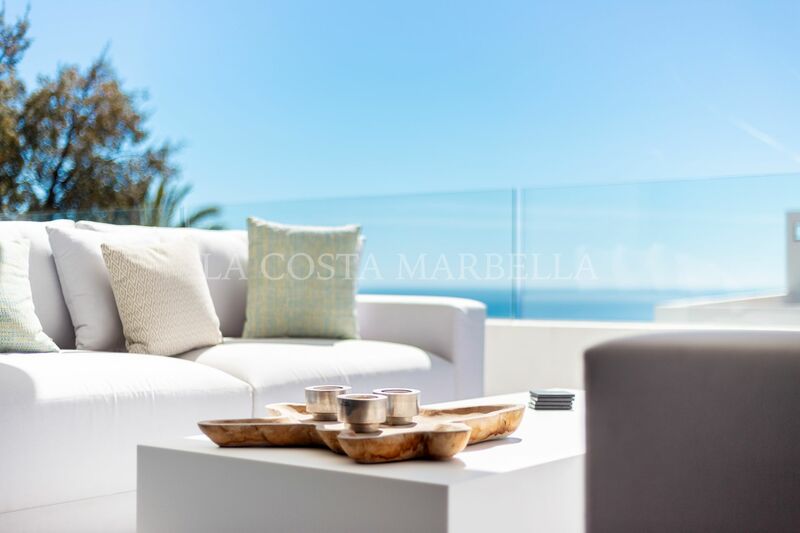 The property is distributed over two levels, a ground floor with a wide entrance hall with double height ceiling very well illuminated with natural light; large and spacious living-dining room with access to the sea views terrace; open plan fully fitted kitchen equipped with top quality appliances; en-suite master bedroom with access to the terrace; two further en-suite guest bedrooms; and a guest toilet. 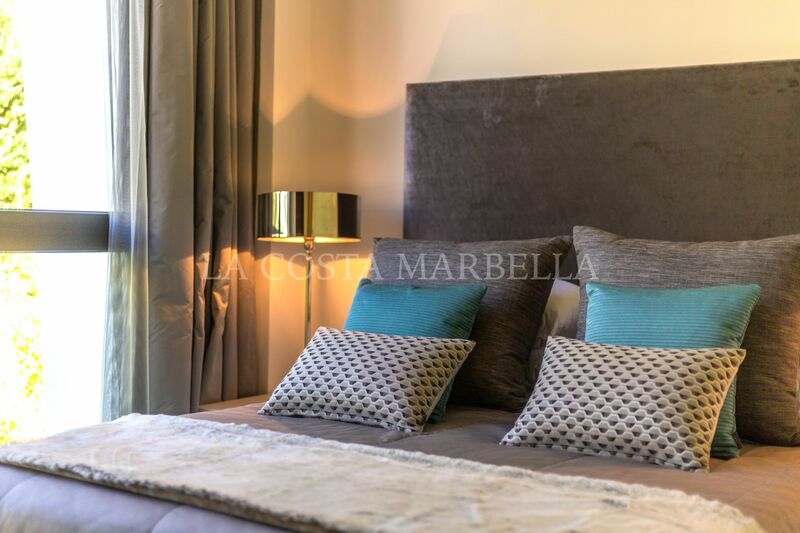 Upstairs you can find the guest bedroom with separate bathroom, lounge and a spacious terrace with a jacuzzi and 360º views. 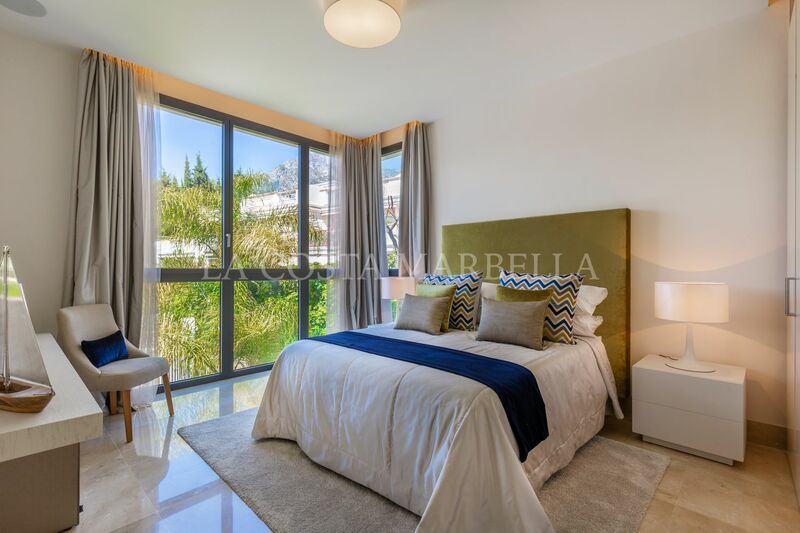 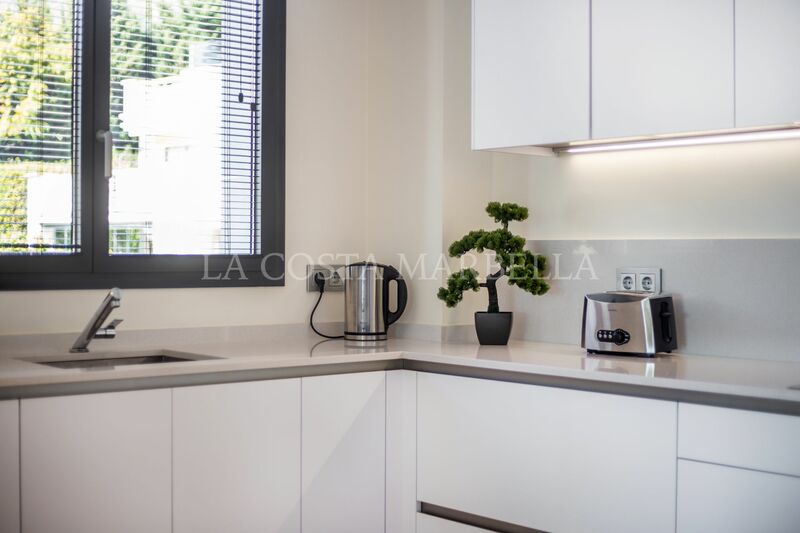 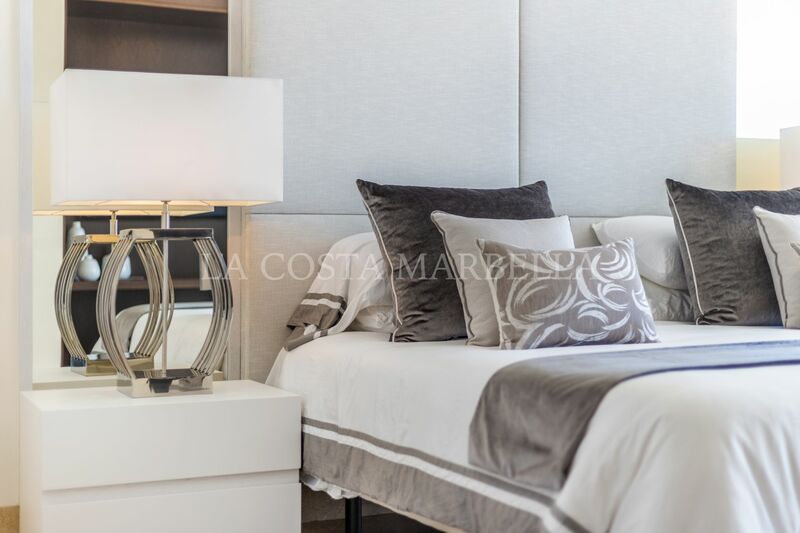 This is the perfect property, to enjoy an excellent holiday break in one of the most prestigious areas in Marbella, in a very new gated complex with shared pool, private parking, gym and everything you might need for a pleasant stay,very close to Marbella´s Old Town and Puerto Banus. 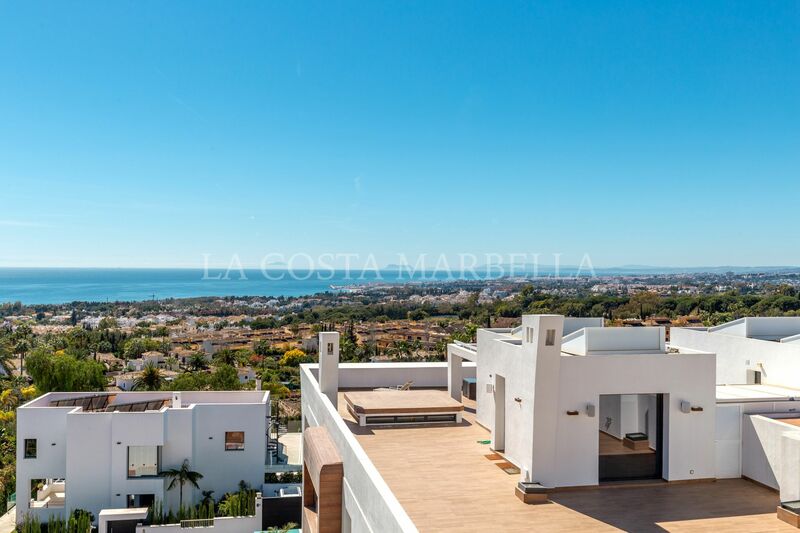 Please, send me more information about ref P900, Duplex Penthouse in Reserva de Sierra Blanca, Marbella Golden Mile or similar properties.